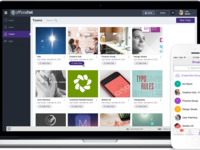 Office Chat is an intelligent & secure instant messaging app that serves businesses with 2-100 employees in a broad range of industries from medical services, insurance, real estate & not-for-profit. 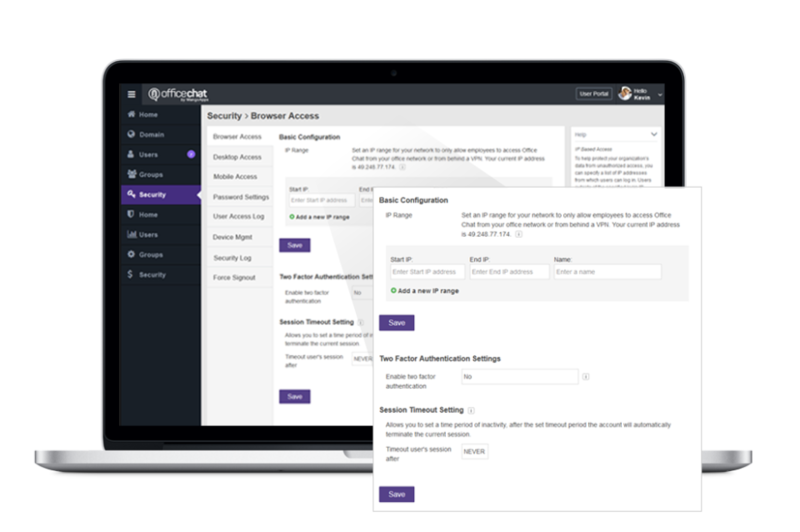 Office Chat is a desktop & mobile HIPAA-compliant messaging solution for small & medium businesses. It comes with features like delivery confirmation, priority messaging, group messaging, 1-to-1 messaging, broadcast messaging, secure attachments, built-in integrations and full administrative control for a broad range of industries from medical services, insurance, real estate, repair services, cleaning services, travel, legal, automotive, manufacturing, educational institutes & not-for-profit. Office Chat Reviews Recently Reviewed! Our whole office loves officechat it is easy to use and a great way to pass on messages. Pros: That you can have a group chat in the office, as a travel agency if we want to send a message to multiple people we can. It is so easy to just type a message and send it instead of having to write it out on paper (saving paper aswell which is a bonus). Price is very good also! One thing I REALLY like is that it shows two green ticks once it has been delivered so that I know it has actually reached the other person and I dont need to follow it up. Cons: Sometimes the office chat will say 'idle' and then messages wont get delivered even when we have signed in, I think it does this when we havent used it for a bit during the day maybe? This is annoying because we use it every day. Something I know everyone in this office would prefer is maybe like a box on the right hand side stay there until the message is opened so we know we have messages, I know it lights up orange but with so many icons down the bottom sometimes its hard to miss, I know a previous chat we used to have had this and it was much better to have something hover there to remind us we had messages. Rebecca, thank you for your review of Office Chat! We truly appreciate your feedback and are glad to have you as a customer. Also- i've passed along your feedback from the cons you listed. Cheers! 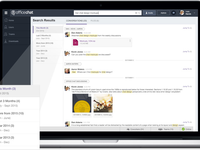 Pros: When we did our research for a new officechat software, we were really impressed with the features that are available & the ease of use for the end users. Setting up the users is very simple & easy. Just needed to give the end users admin rights to install the software. Very easy to create groups & place people within. Reporting is really great & one is able to turn on & off features with a click on a button. The self destruct can be set with a timer which comes in handy when discussing private & confidential information. Overall: They prefer to be paid via credit card & do not really like invoicing. However, our company does not issue company credit cards & had to email back & forth asking if possible to set up for invoicing instead of credit cards. They were very helpful & understood our situation & were willing to make the change for us - even though this is not the norm for them. Pros: The software is extremely functional with lots of features we needed as an internal IM/Chat system for our staff. The implementation was really easy and I honestly haven't had any complaints from staff about using or trying to use the software. Plus the ability to send messages with files/attachments is a huge plus, certainly cuts down on the amount of time we spend composing emails or printing documents to just walk them across the office. Cons: Software installation itself can be a pain sometimes. I had 2 particular issues where OfficeChat refused to install on a new Windows 10 machines because a "required component" would fail to download over and over. I believe it was an issue with the fact that OfficeChat installer was calling out the need for Microsoft VC 3.5 but the machines already had a newer version installed...? I'd have to follow up with my support team to verify the issue was corrected but I'm sure it was. Overall: Overall, OfficeChat has saved us time, paper, and clicks on our copier system. I'd definitely say we're operating more efficiently as an organization! David, thank you for taking the time to review us! We appreciate your business, and are glad to see that Office Chat fits well into your work flow. I will pass along your feedback. Thank you again! We use this to bring employees from 4 offices right to each of our fingertips. Pros: I can easily find other employees that I work with and send them a message. I also like the features like "show when read", "delete after read', etc. I really like the one that shows me after the other person reads it. No one is able to say that they did not get the message because I have a read receipt. I also like how easy it is to attach a file and send it off. Cons: I do not like the lack of emojis. I know this is a very simple thing, but that is really the only thing I can think of. I really would give this program a 10 out of 10. I can't think of any other problems I've had with this. Overall: To keep in touch with our other co-workers in different offices around the state. Tara, thank you for providing us with a review and sharing your feedback regarding Emojis! I will be sure to pass along your feedback to the team. If there are other product requests or ideas that you may have in the future, don't hesitate to let us know. Thank you again! Pros: It is a very simple and powerfull Chat solution. It shows when messages are delivered and read by the other person. You can attached images or documents. Cons: It doesn´t have a popup notification option, that would be helpful because sometimes you can miss a new message. Overall: This Chat software has help us reduce phone call time and makes our jobs more efficient, you can get answers from work collegues faster than by email and if they are not available you dont need to leave a "phone message" and wonder if they listen to them or not. With the chat you see a notification when they read it. We use it every day as an internal communication tool, and even for company announcements with a whole office chat group. Thank you for taking the time to review us! We appreciate your business, and are glad to see that Office Chat fits well into your work flow. I wanted to let you know that Office Chat does have a popup notification option- would you be willing to reach out to our support to have this resolved for you? Thank you again! Easy and fast way to stay connected! Pros: MangoApps is great in order to stay connected and within reach at any time, easy to use on your PC/laptop or cell phone. It allows me to check who is available when issues arise in a very fast way and, in turn; I am available for any emergencies or planning. Cons: We've only had one occasion were it was not working as expected but we reached out to the Online help and it was solved quickly and they were very polite. Other than this, I have no complaints on it. Overall: The benefit of using MangoApps is to be connected in this fast pace world. Working in the Service area, we need to be in reach for problem solving in a much faster way than email. It allows us to see who is available so that we work a bit more efficiently. The group chats are great as we can plan and discuss through the App instead of having to have quick meetings throughout the day. Overall, I am happy with the investment and I cannot imagine my daily work without this great tool. Gabby, thank you for taking the time to review us! We appreciate your business, and are glad to see that Office Chat fits well into your work flow. Thank you again! We use office chat heavily throughout the day to communicate with our small team. Pros: The software provides a very user friendly office chat that has a simple interface making the learning curve easy for anyone who has ever used an instant messenger. It is not overburdened with a lot of additional functionality. It sticks to the basics and doesn't become distracting. It also allows for visible customizable away messages/indicators in the chat window so that everyone can see specifically what is going on with each team member at a glance. Finally, the live chat support is incredible. chatting with a real person who can walk you through any use of the product and takes your live feedback is outstanding, especially for the cost. Cons: Messages sometimes appear out of order. The away messages/status indicators sometimes will not be updated across all users instantly. After being set statuses sometimes revert back to the previous status without reason. It lacks the ability to save more than 5 recent custom statuses. Chris, thank you for your review of Office Chat! We truly appreciate your feedback and are glad to have you as a customer. Cheers! Pros: Straight forward and simple application. Works like any text chat system. Easy to communicate with other members easily. Cons: With respect to the PHONE application, I would appreciate being able to silence notifications when messages are sent in certain groups. Having my phone vibrate every single instance a chat message is sent in a chat group I am in (though may just be monitoring, not even actively participating in) is obnoxious at times. Being able to have a notifications occur only if a new message hasn't occurred in "x" time interval, or just silence all together for certain groups would be appreciated. However, if this feature is already available it is not readily apparent to me. Eric, thank you for taking the time to review OfficeChat! We appreciate your feedback and satisfaction. I hope that you've been able to address the issues you have had with mobile notifications- if not please reach out. Pros: Versatility! I can use on my smart phone, computer at home and computer at work... I can message my office staff directly without picking up the phone. Chat back and forth to maximize workflow - HIPAA compliant so don't have to worry about safety of patient information. Group or single text is so easy. Able to snap photos and send documents! This is the best chat service I can think of. COMPLETELY impressed! And on top of all that is is SO AFFORDABLE. All my employees love it! Great job office chat! Cons: I can't think of anything I really "dislike." I would suggest ability to invite people by using phone number/text message instead of requirement of email address. Ability to integrate a patient reminder service by text message would be cool too. Overall: Exceptional. As I described above, this program has been extremely useful for me and my staff. Jacquelyn, thank you for taking the time to review us! We appreciate your business, and are glad to see that Office Chat fits well into your work flow. I will pass along your feedback. Thank you again! Our small office utilizes this program on a daily basis and loves the convenience it brings. Pros: Our employees most appreciate that you can download it as an App on your phone, so you can keep in touch and communicate even when away from the office. Cons: On rare occasion, the messages can lag and cause a mix in communication. Also starting a new conversation to a new co-worker sometimes wouldn't show what you had sent so it was unlcear if you had sent the message. Overall: An increase in ease and convenience of minute to minute, or daily communication that is necessary throughout the office between co-workers. Carissa, thank you for your review and feedback! It means a lot to us to know when our customers appreciate the tools that we provide to businesses like yours. I have passed along the feedback, so we can track and improve any ongoing issues that customers may be facing. Thank you again! -When using desktop app, mobile device will not update, then all of a sudden you will receive a full days worth of notifications. Overall we like this app, we have been using it for two years with great success. I would love to see some updates happen to help with some of the issues of stability and system resource usage. David, thank you for taking the time to review us! We appreciate your business, and are glad to see that Office Chat fits well into your work flow. I will pass along your feedback regarding the CPU usage and notifications. Thank you again! OfficeChat really helps us connect across the office or across the country. File sharing is great! We are a small office of 10 people. We had been using Yahoo Instant Messenger for years to quickly communicate across the office, when we didn't want to "yell" to one another :) But when YIM stopped functioning as we needed, we shopped around. OfficeChat does everything we need, and it's very reasonably priced. I highly recommend it. We had looked at several potentials, but NONE had measured up like this one. Cons: We really have no cons to this product. It does everything we need. The only thing that could be better would be if it were free :) But really the pricing is extremely reasonable. Stan, thank you for taking the time to review OfficeChat! We appreciate your feedback and satisfaction. I wish we could offer the product for free, but i'm happy to hear that you find our pricing to be reasonable. Cheers! Pros: Officechat is very simple to use. Simple sign on with your same company email address. You can have a list of most recent or frequently contacted coworkers, and you can have access to a list of all coworkers within the company that are logged in. You can also see their status, to see if they are actually at their PCs or away from their desks. Also, you can send images, gifs and other documents through your chat window. Cons: The software feels somewhat clunky at times, and once or twice a month we loose connection to the service for several minutes during the day. Not sure if related to an issue with the company providing the service or with our Internet connection. Overall: We are able to have instant communications with coworkers. Thank you for your feedback and review! If you have any connectivity issues that persist, please don't hesitate to reach out to us for support. We'll be happy to take a look at what is happening to resolve. Good software to communicate with coworkers. Pros: Office chat gives you the facility to be in constant communication with your colleagues in the same network. Offer some modern tools as the GIF and emojis, also allow to send files. Cons: Tends to freeze constantly when you receive a big file. Overall: I use it every day in the office, I don't have to move from my desk to communicate with my coworkers. It has an away mode that helps you know if someone is away from their desk. It is really useful. Hi Daniel, thanks for taking the time to leave us a review and provide feedback! I'm glad to hear that Office Chat is meeting your needs and fits well into your daily work life. I will be sure to pass along the feedback in regards to the freezing. If you don't mind, please reach out to our support team, i'd like to see if this is something we can easily address. Pros: Very easy to use and very helpful to communicate. It replaced a messenger that was free but discontinued. We are in a small office and it helps communicate with the other employees without having to discuss confidential matters out loud or get a point addressed without interrupting the other employee while they are with a client. It helps us be more productive. Cons: We do not use all of the features, which is fine because we are a small office. We just wanted to keep communication and share information or documents with each other. Overall: As of now, there are no issues. We just use to communicate with each other. If someone is with a client, this is a way to send a message right away and they'll get to it when time allows them. Pros: Office Chat is one of the easiest chat apps on the market. Not only is it very cost effective, but it was very easy for all our users to set up on their desktops. It also has a mobile feature which is great so you can message while you are away from your desk. I would highly recommend it! Cons: Nothing- I don't have any negatives with using Office Chat! Overall: By using Office Chat, we can communicate with each other freely and easily all day. This help us avoid tying up precious time on the phone - if you have a quick question, just message it to your colleague and get an answer fast! Thank you for taking the time to review us! We appreciate your business, and are glad to see that Office Chat fits well into your work flow. Thank you again! Pros: The ease in contacting fellow worker(s) without email and getting a quick answer. Also so easy to give telephone messages instead of those little pieces of paper. The group chats instead of calling an actual meeting because a question came up, gathering lunch orders. Also the private chat is great for all the same reasons. Let's not forget the occasional joke. Really like it. Cons: The only complaint I've heard from everyone here is when you are typing and an Office Chat pops up what you are typing gets typed on the Office Chat response and not the document intended. Annoying. Cons: The only thing I don't like about it that the chat screen still shows old chats from employees who do not work at the company any longer and for some reason I can not find a way to remove them. All of our old chats are on my dashboard and I would like to remove them. If there is a way to remove them, I have not found it yet. Annette, thank you for your review! We appreciate having your business. I will be sure to pass along your feedback! Perfect Solution For Our Needs! Pros: The software was easy to setup on both client workstations and on the server. The integration with Exchange also went smooth! Starting conversations and sending small files over chat saves us a ton of walking around time to the various departments or having to send needless emails. Love the product! Cons: Occasionally we won't get a notification for a chat we received but that's not too often and it's usually isolated only to the mobile app version. David, thank you for taking the time to review OfficeChat! We appreciate your feedback and satisfaction. I will be sure to pass your feedback along. Cheers! June, thank you for taking the time to review us! We appreciate your business, and are glad to see that Office Chat fits well into your work flow. I will pass along your feedback. Thank you again! Pros: The app is very reliable and offers great futures. Cons: The only thing I wish it had is to change your status example - away, out to lunch, busy, do not disturb and etc... and let the user know when you are away when they send you a message. Overall: It's been a great experience using the app. Ralph, thank you for taking the time to review us! We appreciate your business, and are glad to see that Office Chat fits well into your work flow. I will be sure to pass along the feedback regarding status options. Thank you again! Office Chat is a great place to keep the office informed quickly and efficiently. Pros: It just works. Great functionality. It's very convenient for getting information to and from employees even if they're out at various job sites. Cons: The only negative experience I've had with Office Chat is that some media is not able to be copied and pasted into the chat, but that could be operational error as well. Overall: It is quick, easy, and fun to use. Thank you for taking the time to review Office Chat Trisha! It is a pleasure to have you as a customer, and i'm glad that your business can benefit from our tool. If you still happen to have issues with pasting media into chat, please feel free to contact us to see if there is any resolution we can provide. Thank You! Pros: This software enables communication in the office in both private and group messaging. Cons: Sometimes we would need to reinstall it when it stops working on a specific PC. Esra, thank you for taking the time to review us! We appreciate your business, and are glad to see that Office Chat fits well into your work flow. I will be sure to pass along your feedback regarding the need to reinstall the app. If this issue persists, please contact us so we can pinpoint and address the issue. Thank you again! Linda, thank you for taking the time to review OfficeChat! We appreciate your feedback and satisfaction. I'm glad to hear that is has been easy to use and without issues. Cheers! I am a team leader of 10 technicians. We use it to stay in touch, as well as with our dispatchers. Pros: I like several things about Office Chat. I like how you can customize your icon with a picture. Also, how you can create groups as needed. Cons: Having to log in almost every time. Also, having several conversations open and being unable to delete them. Overall: The ability to stay in communication with the techs and dispatch, simply. Timothy, thank you for taking the time to review OfficeChat! We appreciate your feedback and satisfaction. I will be sure to pass your feedback along. Cheers! Easy to use and really makes communicating in the office WAY easier! Pros: I like that in our office we can easily send messages to the whole office or just one employee, without having to get up and walk to the office or bother anyone while they are working. We can all easily send messages and even cute gifs and emoji for phone messages and reminder notes. We can send messages about clients waiting for appointments when the person's line is busy and we can't call them to let them know. It's a great program to use and easy to learn in minutes. Overall: Easy to use and frees up a lot of time that we used to waste having to walk messages to people's offices. Quick and easy to use and even pretty fun with emojis and gifs. Jeanie, thank you for your review of Office Chat! We truly appreciate your feedback and are glad to have you as a customer. Cheers! Pros: It is easy to use. It's very convenient when you have multiple offices and you need to communicate quickly with co-workers. The read receipt function is helpful as well. Cons: There is not really anything I have experienced that I did not like about office chat. If I had to choose something I like the least about it I would have to say that when I'm typing something and a message box pops up whatever I'm typing starts being typed into the message box. Patricia, thank you for taking the time to review OfficeChat! We appreciate your feedback and satisfaction. I will be sure to pass your feedback along. Cheers! 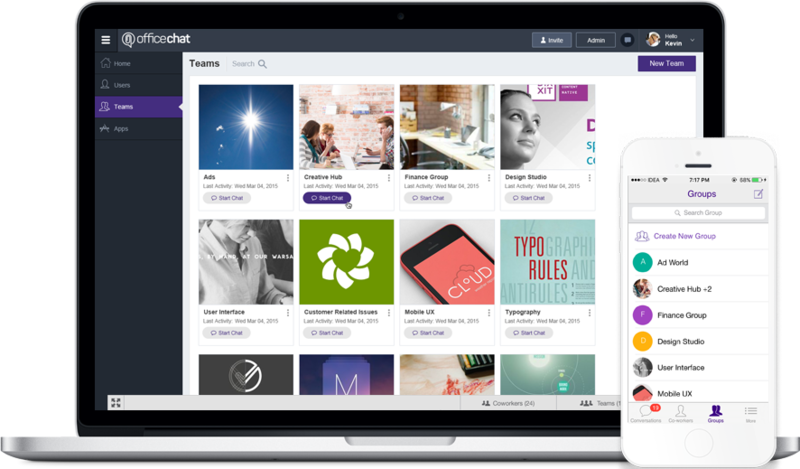 Office chat creates a smooth and efficient platform for communication with teams and individuals. Pros: I like that the alerts pop up instantaneously - you don't have to have office chat open for someone to send you a message. It is always running in the background. Cons: I do not like that you cannot delete the previous chats because you are not the "administrator". However, it does keep the conversation work-related and doesn't lead to being off-topic and inappropriate. I don't like that you can't select and delete previous conversations, even if they are 6 months old. Overall: I am able to quickly ask questions and look back at an old conversation. I am also able to share the same information with an entire group immediately. Shalinie, thank you for your review and feedback! I hope that Office Chat continues to be a party of your daily workflow, making communication easier for your business. Pros: Ease of use, & speed to implementation. Very reasonable cost. The only software we found for chat that was inexpensive, easy to set up and use, & had no compatibility issues. Cons: it's not as 'trackable' or auditable as email. From a data protection standpoint, & also for legal forensics, it would be nice to have a permanent archive that is easy to access for admins. I don't this that Office Chat offers this. Overall: it provides quick communication between team members & offices (various teams are using this). Bruce, thank you for taking the time to review OfficeChat! We appreciate your feedback and satisfaction. I will be sure to pass your feedback along, however I suggest you reach out- we'd love to chat about your use cases to help you achieve the level of track-ability and audit access if possible. Great app for the business! Pros: It's so easy to use. Shows up on all my devices. Cons: It logs me out of the app on my phone constantly so I miss notifications. Christine, thank you for taking the time to review us! We appreciate your business, and are glad to see that Office Chat fits well into your work flow. I will be sure to pass along your feedback regarding the mobile logout issue- if this issue persists please be sure to reach out to us to open a support case. Thank you again! Pros: It is so easy to use, and can be installed on a smart phone -- making it really easy and quick to reach co-workers, no matter where they are, without having to share or store personal cell phone numbers. Cons: There aren't a lot of extra features and I get signed out by mistake fairly regularly (phone only). Thank you for your review! We love to hear from our customers, and i'd urge you to reach out to us and let us know what features you wish we'd add! Also i'm sorry to hear that you're having issues with the app staying signed in, please contact our support and we'll find the culprit. Thank you again! Pros: With the HIPAA compliance in health care, this messaging software allows us to communicate in and out of the office setting without the worry of sharing patient names. There are many patients with duplicate first and last names so coordinating treatment which includes communication can be difficult when trying to abbreviate etc. With Office Chat that is not necessary. 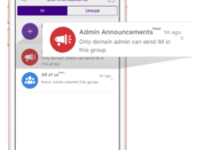 Cons: There are a few team members that do not receive notification so they have to open the app frequently to check for new messages on their mobile devices. Easy to use. Great, simple interface. Pros: I like the fact I can mute conversations that I have nothing to do with. It seems that the software is pretty reliable as well (Mac OS) I dont have any crashes and the interface is easy to use with a quick glance. Cons: I do not like the fact it tries to run during startup. I consider myself an advanced Mac OS user and was easily able to stop this from happening, however most people would not, and that is an issue. John, thank you for taking the time to review OfficeChat! We appreciate your feedback and satisfaction. I will be sure to pass your feedback along. Cheers! Pros: Able to message co workers in our other offices. They now have the emojis and gif functionality which is awesome when you want to have fun messages with your co workers. Also love read receipt function when you need to know if others have read the important messages. Cons: If you are busy working and a message box pops up, you will start typing in the box instead of where you were working. Very annoying. Jennifer, thank you for taking the time to review OfficeChat! We appreciate your feedback and satisfaction. I will be sure to pass your feedback along. Cheers! Pros: The most valuable piece to me about this software is the ability to share files. This is so quick and easy to do. Cons: My least favorite piece about this software is sending files. If you hold the file over the chat box it will continue to duplicate until you drop it. That is a little frustrating. Overall: Being able to share files and being able to talk with my colleagues instantly. Amanda, thank you for taking the time to review OfficeChat! We appreciate your feedback and satisfaction. It appears that your issue has been addressed and resolved, but please let us know if otherwise. Thank you again! Pros: Office chat is easy to use and set up. I like the ability to do video chat and send files. Cons: I wish groups were easier to manage, so we could set up a few common groups, rather than every multiple chat creating a group. I also wish it were easier to deploy so it would be on every machine regardless of who logs in. Overall: We initially purchased OfficeChat as a communication tool for our providers and their nurse. They thought it was so helpful that we continued to add users until we decided it was best just to create an account for everyone. Great communication option for busy businesses. Pros: We are able to talk to our other location without having to pick up the phone every time. We can send a message and they can respond when they are not busy. You can set up many users and we find it very useful. We use it everyday and a lot. It is so easy to set up and use. Great tool and convenient for in and out of the office. Pros: The gifs and quick replies. Its easy to use and convenient. The new features are also nice as well. Also, what might be an operator error is getting added and messages to other groups sometimes but that has since seems to be resloved. Cons: When starting a new chat differently from the new function is will not load your previous messages until after you send the new chat and you can't start that "new" chat with sending a picture. Overall: Quick and convenient, non-direct/formal chat software to use with colleges. Thank you for your review Kayla! Glad to see that Office Chat is working well for you and your business. I will pass your feedback along regarding the chat history loading and chat initiation. Thank you again! Cons: It seems like it may be a little memory hungry. Overall: So easy to use. Richard, thank you for taking the time to review us! We appreciate your business, and are glad to see that Office Chat fits well into your work flow. I will pass along your feedback regarding CPU usage. Thank you again! Pros: I like the fact that you talk to each individual in the office privately or you can set up a group message to talk to everyone. Cons: The thing I like the least is that when the program opens when I start my computer, it just stays open on my screen. I would like it a bit better if it would just open in the background and stay open back there until I need to send or I receive a message. Brandon, thank you for taking the time to review OfficeChat! We appreciate your feedback and satisfaction. I will be sure to pass your feedback along. Cheers! 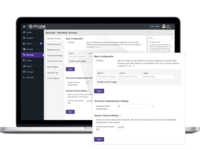 Pros: Ease of setting up users and creating groups; availability of web-based version; option to have server hosted in the cloud; administrative ability to review message activity. Cons: Very CPU-heavy, often averaging 15% of the CPU depending on each user's activity (not good with multiple users on an RDS server); web-based version very unreliable even with an unclogged 100Mbps Internet feed; was not designed for Microsoft RDS (to be fair they came out with an RDS-friendly installation about a month after we purchased it); product probably sold from somewhere in Asia (not a problem in itself except for adding an extra day to advanced tech support queries). Overall: I would strongly recommend this product for situations where users are on separate machines using the actual application. It does have many good features and the performance is acceptable. However, this is not currently a good solution if your users must access the application from a Remote Desktop Services environment. It *might* perform better in a different multi-user-single-server environment. In fact, we got the strong impression that they had not dealt with a client even our size before, definitely not on an RDS environment, and they were scrambling to catch up. 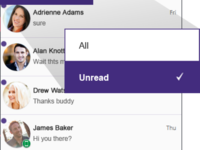 The we-based option was very unreliable, often failing to reflect current messages and not alerting users to new messages. Glenn, thank you for taking the time to review us! We appreciate your business, and are glad to see that Office Chat fits well into your work flow. I will be sure to pass along your feedback regarding CPU usage and web version stability. Thank you again! 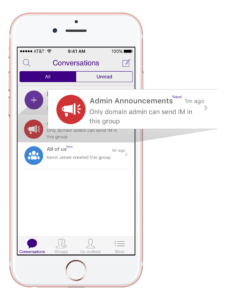 Light software helps with group chats and document sharing. Doesn't hang ! 3)Doesn't take time to load chat history. 4) We have another in built chat on the tool that we work , I am glad there isn't any dispute between the 2. Cons: 1) It takes sometime to load when the system boots up. 2) In my system ping comes after I get a chat. What Crazy ! 3) Finding an option to change group name wasn't easy. 4) Pricing should be a bit competitive . 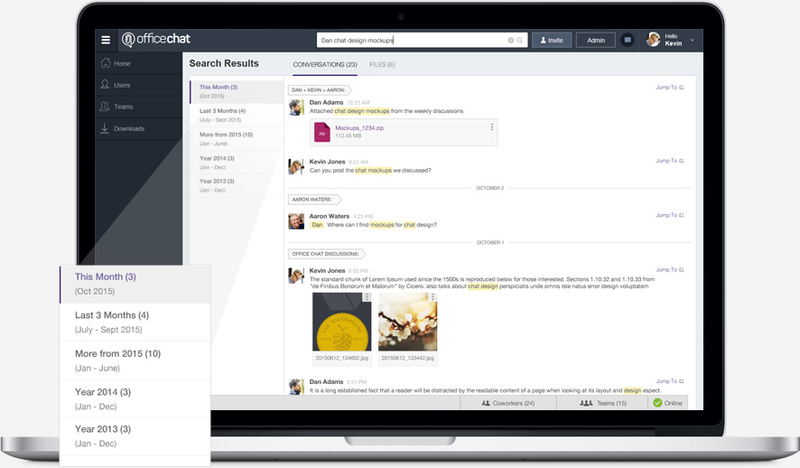 Overall: Dedicated Chat software that helps share files. I like the announcement saves me effort typing an email to all. Sreenath, thank you for your review of Office Chat! We truly appreciate your feedback and are glad to have you as a customer. I've passed along your feedback and issues as well. Cheers! Office Chat is simple to use, and very fast. I can have instant IM communication with 1 or many. Pros: I like being able to get instant information from anyone in my company. This is especially useful with our technical team, because they usually get back to me immediately with an answer. I also like it when multiple people are on the same chat, working in a colaborative way. Cons: I sometimes get confused with what group chat I am in. You may have several groups set up, and several people will be the same but not all. Overall: Instant communication with anyone in my company. I also am able to use it with my desktop computer as well as my iPhone. Thank you for taking the time to review OfficeChat! We appreciate your feedback and satisfaction. I will be sure to pass your feedback along. Cheers! Pros: I like the ease of use and customization of office chat. The ability to create groups is something I use daily. Thanks for taking the time to leave us a review and provide feedback John! I'm glad to hear that Office Chat is meeting your needs and expectations. I will be sure to pass along the feedback regarding load times. Cheers! Pros: This chat tool promotes a good environment and a faster communication between co-workers. The GIFs and emojis make it fun while working. Cons: Its design is plain and simple, it would be nice if the chat window could be more flexible by personalizing it as we wish. Thank you for your review and feedback Martha! I'm glad to see that Office Chat is working well for your business and has been an enjoyable communication tool. I have also passed along your feedback regarding chat personalization. Thank you again! Pros: THAT OUR OFFICE CAN COMMUNICATE VERY WELL WITH THIS PROGRAM, WE DON'T HAVE TO GET UP JUST MESSAGE FROM OUR CHAIRS. Cons: HAVE HAD TROUBLE TRYING TO DELETE MESSAGE THAT SOMEONE WROTE ME DID NOT WANT TO DELETE THE WHOLE CONVERSATION JUST A FEW LINES. Overall: COMMUNICATION IS THE GREAT BENEFIT FROM THIS SOFTWARE OUR OFFICE HAD ANOTHER CHAT SERVICE BUT WE WERE NOT GETTING ALL THE BENEFITS. Cons: My biggest complaint is that if someone gets to work and forgets to open their app on their desktop, sending them a message is pointless. Also, I would like the phone app to allow me to sign in with my fingerprint and not have to remember my password, which I am not very good at doing. Overall: We have been able to solve the issue of transferring documents from offsite personnel to in-house personnel instantly rather than through email, which is not always instant. Thank you for your review Jacqueline! I will be sure to pass along your feedback regarding auto-login and security. Overall the product is good, we had some issues early on but solved now. Pros: Quick & responsive, works well for keeping a large group connected. Easy to use across different platforms mobile & PC. Cons: Customer support is the one area is what leaves room for improvement. Other than that it works well. Kam, thank you for taking the time to review OfficeChat! We appreciate your feedback and satisfaction. I will be sure to pass your feedback along, I understand that customer support is very important and I hope that we can meet your expectations moving forward. Thank you for your time! Great realtime software. Quicker than email in the office! Pros: This software is very very easy to use. We have people of all ages in our office. There is no dis-connect. The great part is that is has sound notifications so I know when someone messaged me. Cons: I guess the price is probably the biggest thing. Gerry, thank you for taking the time to review OfficeChat! We appreciate your feedback and satisfaction. I'm sorry that you don't feel good about the price- we will be sure to consider your feedback when we evaluate pricing and competition next. Cheers!